In a large sauce pan, over medium heat, warm the olive oil. Add the shallot, mustard seeds, sesame seeds and basil. Stir and cook till the shallot starts to brown, and the mustard seeds are sizzly/pop-y. Add the garlic, red lentils, and the zucchini, stir and cook till everything starts to brown. Meanwhile, combine the cashews with about 1/2 cup of water in a blender or food processor. Process until smooth. Add this to the veggies, along with all of the spices. Stir and cook. Add about 2 more cups of water. Stir well. Bring to a boil, reduce the heat, and simmer for about 20 minutes, till the lentils are thickened and soft. Add more water if you like it brothier. Stir in the spinach and the cilantro, and cook until the spinach is wilted. Add salt, pepper, lemon juice and butter. 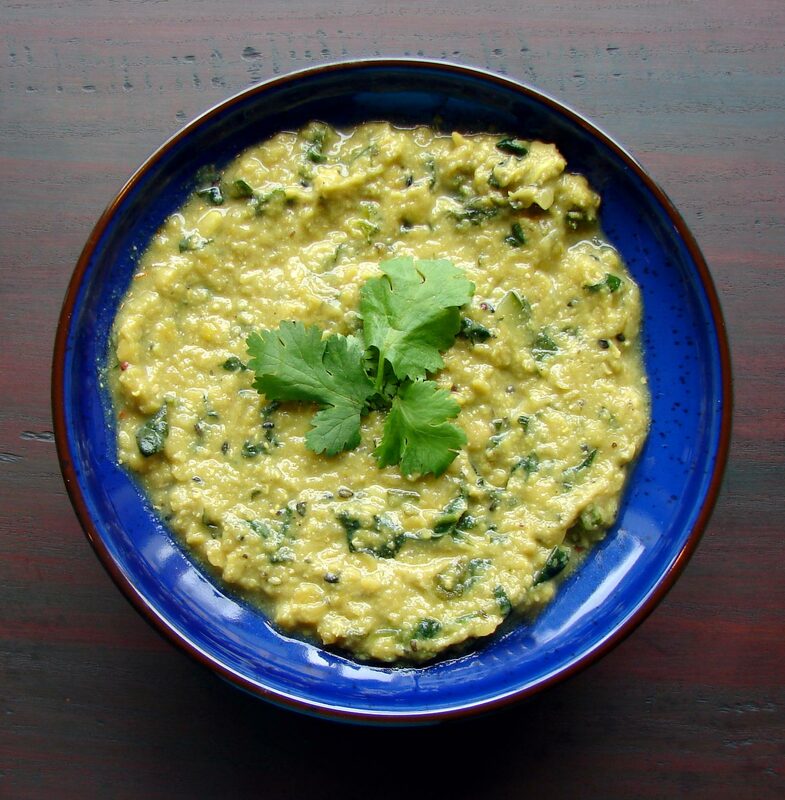 This entry was posted in lentil, recipe, rice, sauce, Uncategorized and tagged cashew, cilantro, curry, dal, red lentil by Claire. Bookmark the permalink. The movie, like this recipe, sound wonderful! Thanks Claire! I’m not a big movie fan but I’d love to see Today’s Special – I did a Google and found the trailer to it.